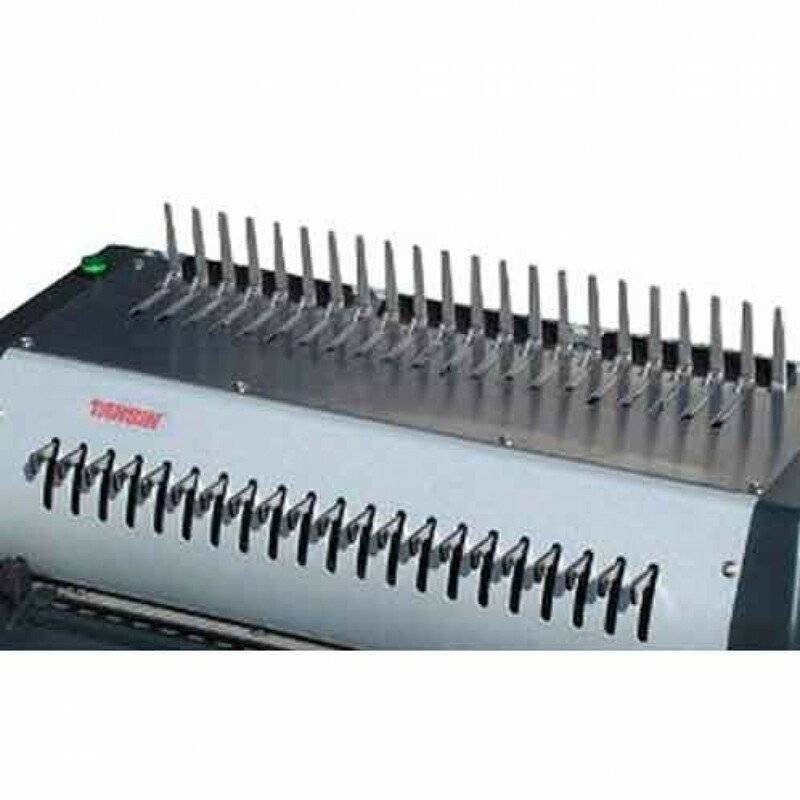 The Tamerica TCC-2100E Letter Size Electric Punch/Manual Bind Machine saves time and money. 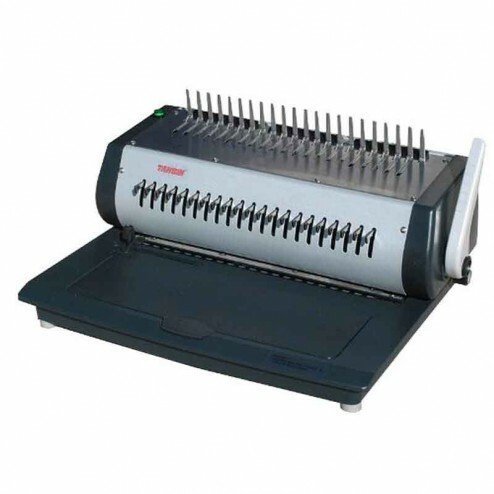 Enjoy all the features that you have been used to in our all time best seller 210PB with added bonuses such as an updated, more stylish two tone look, plus a binding comb compartment concealed on the machines base. The right side of the punching throat is also open for added flexibility when punching longer sheets. 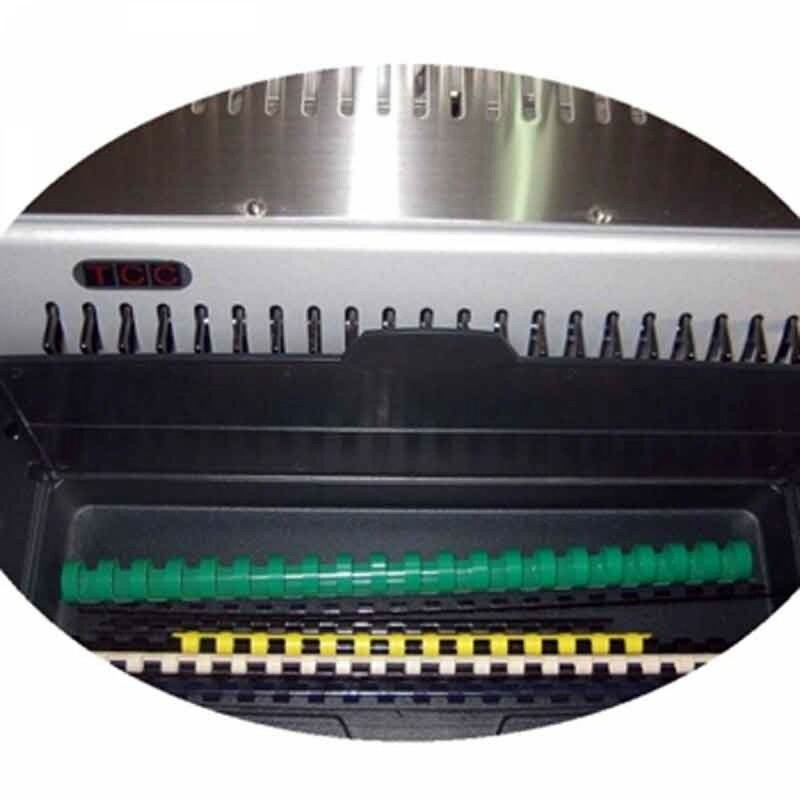 4 - Position punching depth adjustment with concealed storage space in front compartment for keeping binding combs. Have drawer to keep combs in front of machine. Dimensions: (L x W x H)	16" x 13 3/5" x 8"